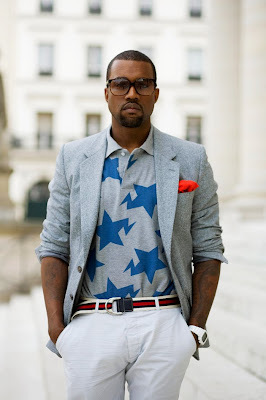 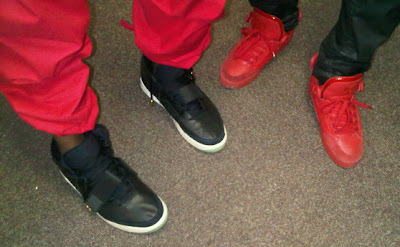 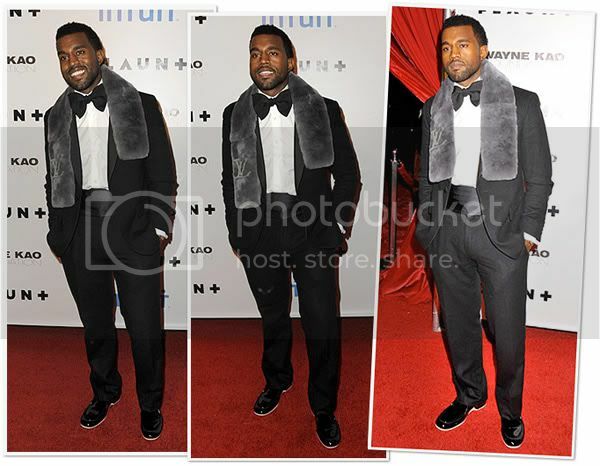 When it comes to fashion - Kanye has always been one to march to the beat of his own drum. 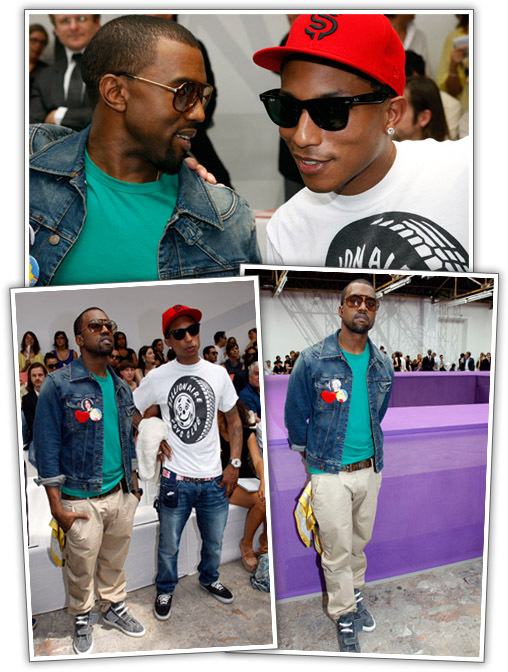 Although there have been some mishaps, I would say that overall, Kanye (along with Pharrell) is one of the few taste makers (in music) when it comes to young men's fashion - and hey, you win some, you lose some. 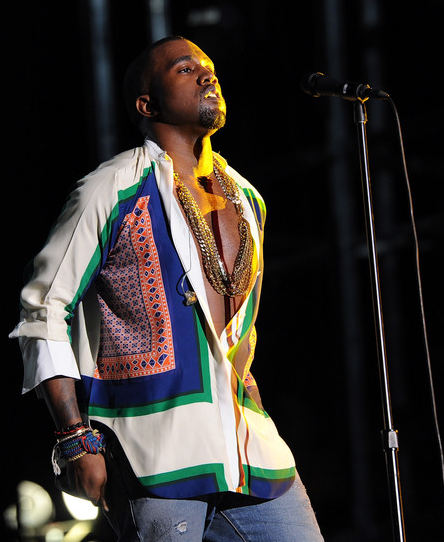 That being said - I was a little shocked to see that 'Ye rocked a shirt from Celine's Spring 2011 WOMEN's line (pic via Coco and Creme, who also have a great write-up/article in Kanye's defense). 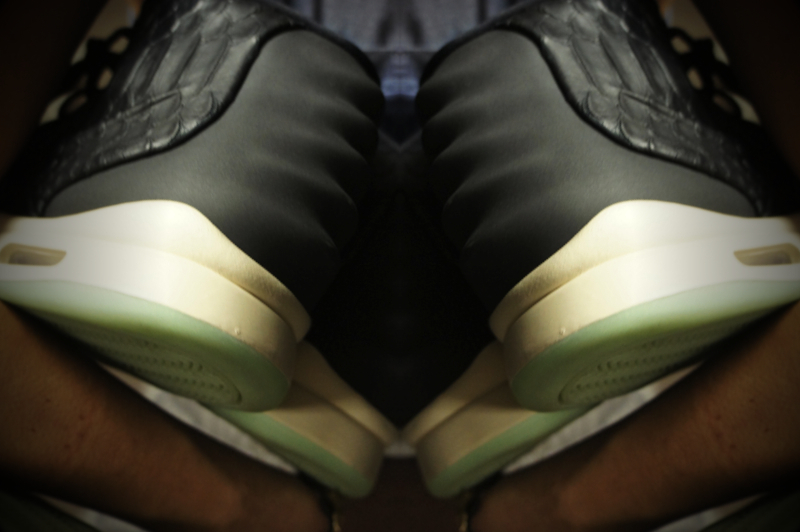 I'm not knockin' the man - I mean hey, I'd do the same with a pair of kicks - I'm just not on quite the same stage as 'Ye - literally or figuratively. At the end of the day, the performance was epic (see the Kanye set from Coachella in its entirety after the jump), the print on the shirt blouse tunic was dope (I'm not a fan of the cut though), and for all you sneaker heads out there, you can catch a better glimpse of the Nike Yeezy 2 (also after the jump).